The Case For Starting The Zodiac With Capricorn?! Mercury Retrograde often gives us another way of looking at things. Astrology itself is no different. Asking the questions and looking into the teachings of the past are always an interesting thing to do. Sometimes you will reach a dead end, sometimes you can dig a little deeper and fall further down the rabbit hole. I’ve been looking at relationships in Astrology, not for people of varying signs, but in the interpretations of astrology itself. There are some common links that the Egyptians, Aztecs and Mayans used. There may also be links between ‘traditional’ western astrology and Chinese astrology. So, here I am making the case for perhaps starting the Zodiac journey with Capricorn- in December. I’m not saying anything as outlandish or brash as this is the true astrological starting point, merely that it may make more sense to start there. Firstly, the Mayans, Aztecs and Egyptians are said to have used 360 day astrology charts with 5 extra days. Depending on the civilization, they were either extremely lucky or unlucky days to be born on, or to do particular tasks. The Egyptians had special days to worship the Gods. The Mayans had days for sacrificial ritual. The common link is 360 days in normal signs and 5 left over. Secondly, the journey of our sun, in the northern hemisphere is another key. The sun, in December, gives us less daylight at the solstice. In fact, the journey is like a five day death, you could say. Certainly, that is what my guides suggested to me. It is reborn/rebooted over this period and returns on or around the 25th December. Coincidence? Does Capricorn represent our birth? 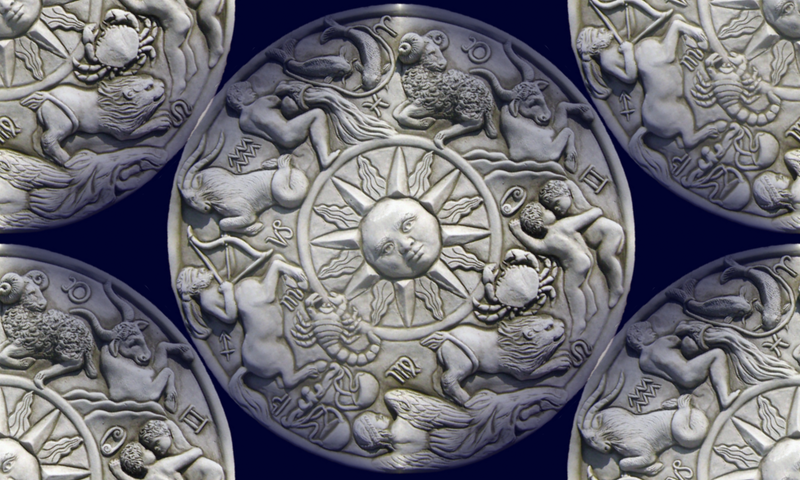 Thirdly, we look at the journey of the Zodiac itself. Capricorn is the cardinal Earth sign. The Goat, the learning to find your feet in a new world, the Earth that you have arrived into from being a soul. So the Path I am suggesting is not one of set times, but achievements, that we gain from living our lives and overcoming obstacles and growing as humans. The Changing point here, is not Pisces the transmuter, the end and new beginning of the Zodiac, but Scorpio- master of death and rebirth itself with Mars and Pluto- the regenerator. We could become stuck in one phase, never moving on. Perhaps we kind of miss a step two? Food for thought? So we’ll start the Zodiac at Capricorn, from the point of Human Birth. But to further complicate things, not irrevocably so, I hope, is that I start our Journey with Scorpio! Death first! I could have written this to start with Scorpio- and some people may want to make that argument, however, I wanted to start the Zodiac with the birth into 3D first. The previous life has ended, The soul is being renewed and a new journey and body is being created/regenerated. The soul has reviewed the lessons from the past life and is getting a deeper understanding of the self- as a soul. Pre- step 2) Sagittarius | Mutable Fire | Learning and Adventure. This is the stage of choosing, choosing what we need to do in the next life. We choose our adventure, our learning goals. We sign up to courses in the University of Life, The School of Hard Knocks and the Houses of Lifelong lessons. We then begin the adventure towards gestation in a physical body. We adventure into being born again, being new, physical, again! Stage 1) Capricorn | Cardinal Earth | Finding your feet, earthling! This marks Birth (or rebirth!) Awakening to a physical world and finding your footing. Connecting to Earth. Stage 2) Aquarius | Fixed Air | Playtime! Pure Aquarius energy is probably most like the terrible twos! Not saying that all Aquarians are infantile, far from it. The water-carrier is learning to move around, to speak, trying all manner of things- moments of genius and of craziness, walking or crawling upon the thin line between the two. More realisation, more growth. Pisces, as mutable water allows the individual to go with the flow more. From babyish to small child, pisces transforms us in different ways. Less dependant in some ways, more dependant in others. More interaction with the world, thanks to the playtime in Aquarius. Stage 4) Aries | Cardinal Fire | No! That’s not what I want to do! Aries, oh lovely Aries arises- and from there it is all about the self. The Ram, the lamb is finding itself. The world exists in front of you, but is all centred around you. This is the time when you start building boundaries, in world still controlled by parental and school powers. From Aries and the imminent strength of saying “No!” , answering your parents back, to Taurus. The Fixed Earth is where the young person finds more grounding, before the next phase is back up in the air. Grounding, this is the time the physical connects to what they really like. Taurus is governed by Venus and self-indulgence is encouraged at this time. Fluffy things, muddy things, foody things, it’s all good, says Taurus! Teenager. Emotional, lunar Cancer brings cardinal water to the party. The body is changing, the tides of your physical appearance and mental state are shaping up. Cardinal water shapes us for the rest of our lives, directs us. It may take some time to change the tide. The Crab is also, well, crabby and armed with pincers. Annnnd emotional, did I say that already?! University, Job, Money, Freedom. Leo is in its element here. The twenties, perhaps? The time of extravagance, friendships, mucking around and playing the King role. We are all kings! So after the wonderful period of self-expression and self-confidence of Leo, Virgo is next. Virgo is the time of innocence and beauty and hard-work. That sounds like starting a family and settling down to me! By stage 10, we’ve learned a lot, we’ve seen how life isn’t fair- but we want justice to be served. Libra has also learned by now how to get along with people, how to work with or end friendships and relationships. Of course, if you’ve not dealt with things well with Cancer and Virgo, you may be undecided about everything. The Air of Libra can also breed apathy! Stage 11) Scorpio | Fixed Water | The Final Chapters? And we come back to Scorpio! A difficult time. The challenge of this time is how well you dealt with things up til now. You may be ready to pass on deep wisdom and perhaps enjoy great adventures in the deep flows of the planetary wonder. Otherwise, you may have taken things another way and be holding onto resentment and darkness (not loving it, accepting it) and may end up bitter and perhaps mistrusting of the world and its many inhabitants. We have free will, after all. Then perhaps, it’s time to transmute into the other realms again! Of course we may keep going along the cycle in one lifetime. So we may move on from Scorpio and into a physical realm time of Sagittarius, etc. What do you think? Let me know in the comments section. It’s good to share ideas. Next Full Moon in Pisces (Eclipse) 16 Sept 2016!